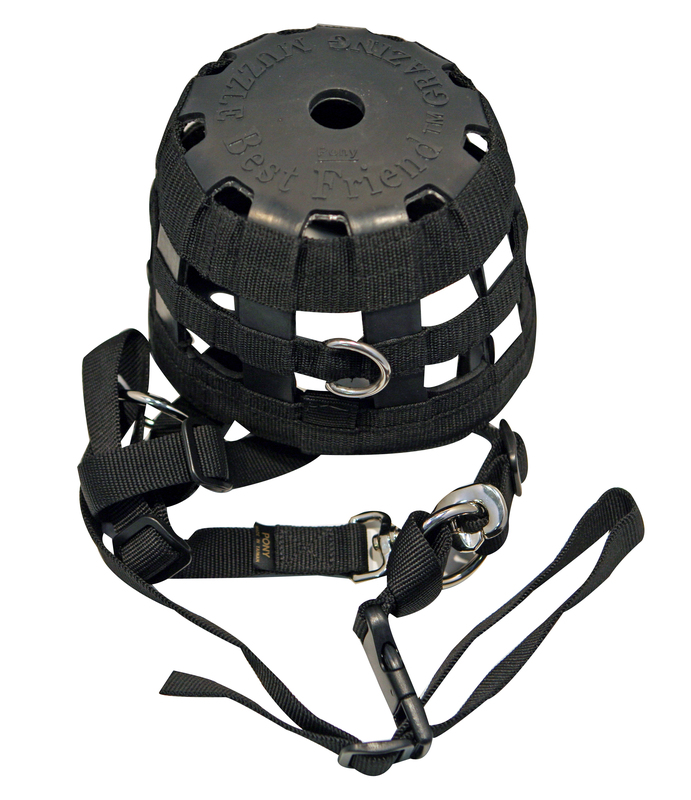 Best Friend Deluxe Grazing Muzzle is safe for your horse or pony to wear, as it has a breakaway plastic buckle, that will break in emergency situations, eg if caught in a fence. It also has a ring to attach a leadrope to, if you wish to lead your horse using the muzzle. Best Friend Deluxe Grazing Muzzles straps are made of comfy, soft webbing & to help prevent rubbing, the noseband also benefits from neoprene padding. The bottom part of the muzzle is made of durable, yet flexible reinforced rubber & has a small opening, to allow water consumption.